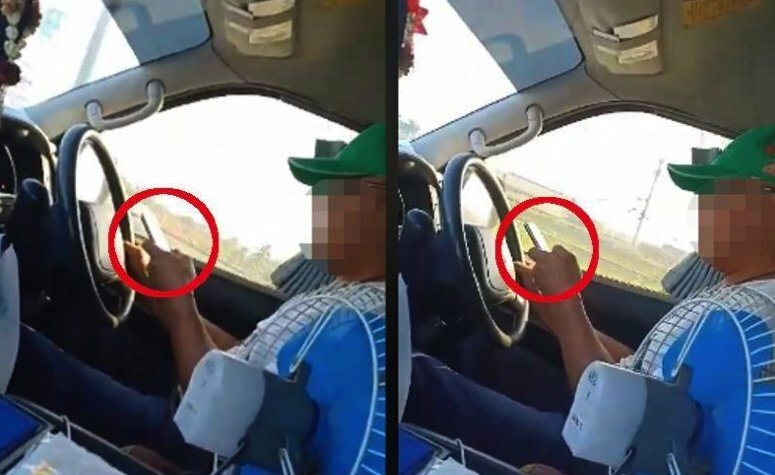 Daily News said that a minivan driver was caught playing on his phone all the way from Bangkok to Rayong. The driver didn't care a jot for the safety of his passengers. One was filming and posted a clip of two and a half minutes duration. No one said anything as the driver looked down then up as he sped along the road. Daily News said this was the latest terrible case and the Department of Land Transport were looking into it. The last one was on February 7th from a woman's minivan experience from Bangkok to Prajuab Khiri Khan. The company on that occasion was fined 5,000 baht when they could have been stung for 50,000 baht. It was not reported how much the driver paid - he faced a 5,000 baht fine for negligent driving and a further 5,000 baht for using a phone while driving. Daily News - who are running campaigns to improve road safety - said that adverse comment was rife online in the latest incident. Wouldn't it be easy to have compulsory CCTV in every van with Internet connection and recording at a central police station or a TAT center - or tourist police? Two went past me swerving violently from lane to lane; inside and out. Their speed was greatly in excess of the 80 limit. I watched their antics as this behaviour continued into the distance. The police car next to me did not seem to find anything untoward about their dangerous driving/speeding. Daily ﻿News said this was the latest terrible case and the Department of Land Transport were looking into it. Looking into it, yet nothing will change. Why did nobody do anything? Because the driver would lose face. And is that reason enough to ignore his dangerous behavior? and i was afraid he would have to shoot me then. Sometimes the result could be the same. Best to not use their sevices, as many of them are morons. Sums it up. One of these days Thais will hopefully stop kowtowing and stick up for themselves.